NICOSIA, CYPRUS, February 05, 2013 – Anyone that says what happens in Vegas stays in Vegas hasn’t seen the new Jackpot Capital Casino website where a stylish new design brings the excitement of The Strip to homes around the world in a cleaner and more contemporary way. 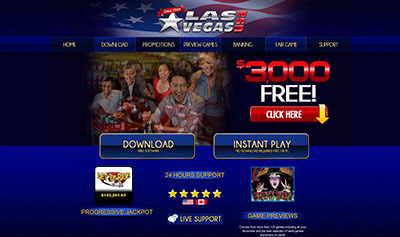 The new home page makes it even easier for new players to get started by giving easy access to free instant-play casino games and featuring a prominent link for downloading the casino software. It also congratulates recent winners and makes it simple to find out about all casino bonus offers currently available. A couple of things haven’t changed: Jackpot Capital features an incredible selection of casino games including slots games like Three Stooges II and the new American Roulette game. It also still has some of the biggest progressive jackpots available online: the Aztec’s Millions progressive is currently nearly $1.5 million and the total jackpot pool is well over $6.4 million. As always the casino remains committed to making deposits and withdrawals quick and easy. To claim their 100% (up to $200) casino deposit bonus players should enter the coupon code JCNEWLOOK when they make their next deposit (available until March 31st, 2013 only). Jackpot Capital Casino’s $175,000 Oscar party continues until February 24th. Details on how to win a share of the $30,000 in prizes awarded weekly are available by clicking the Promotions tab on the new home page. 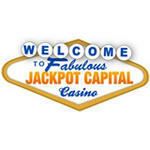 Jackpot Capital Online Casino offers over 300 exciting games (RTG Software – US Players Welcome! ), including many progressive jackpots such as Caribbean Hold’em, Mid-Life Crisis, Shopping Spree and Light Speed, and hosts slots tournaments played on some of its most popular slot machines. 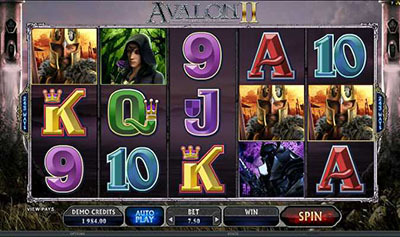 Every casino game comprises state-of-the art graphics and sound to provide a unique gaming experience. Instant-play Flash versions are available for most games. With its variety of deposit options, Jackpot Capital is capable of serving players from all over the world.